We’re sorry to report that James “Big Jim” Wright has died yesterday. 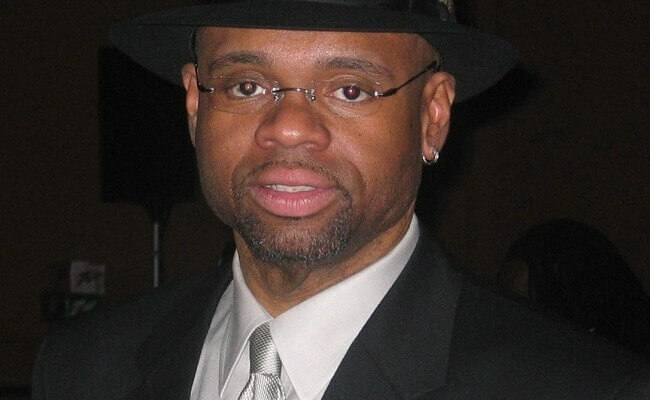 The multi-talented producer, songwriter, and music director was a keyboard player that worked consistently with Jimmy Jam and Terry Lewis. He also has many writing and co-writing credits on several hits songs by Janet Jackson and others. Wright was also a producer and music director on multiple projects including Michael Jackson, Aretha Franklin, Patti LaBelle, Mariah Carey, Usher, Sounds of Blackness, Celine Dion and many more. He was found dead in his home in Rockford, Illinois, Wright was 52 years old.